The Beatles’ Sgt. Pepper’s Lonely Hearts Club Band remains the most iconic album cover of all time. From Paul McCartney’s original concept to the final design, staged by British pop artist Peter Blake and his then wife, Jann Haworth, it’s not just an album cover, but a dazzling display of modern art that defines its era. Click on the cover below to explore the cover and find out about each character! 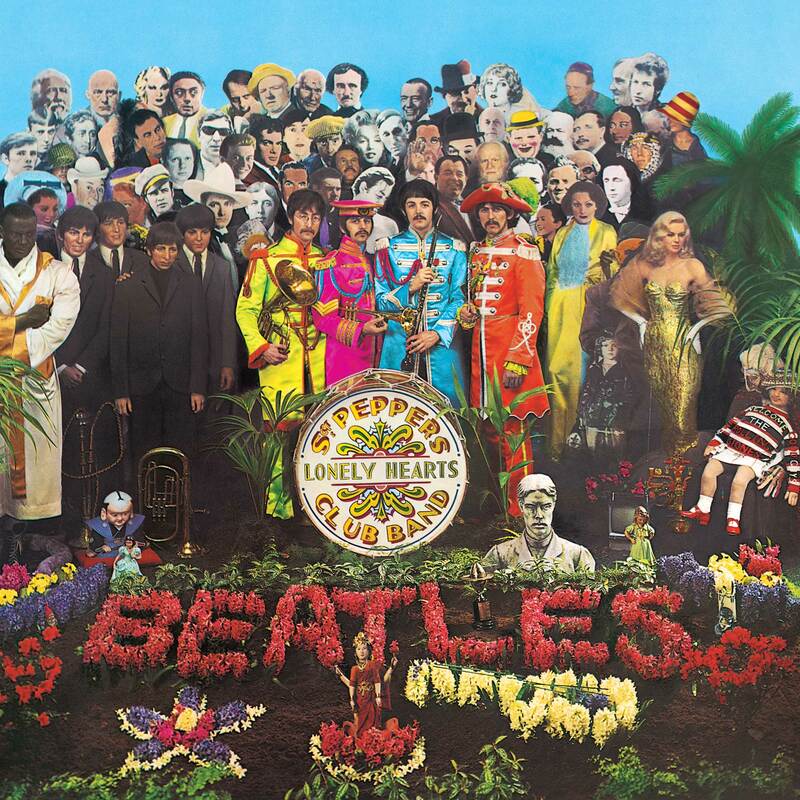 In a perfectly postmodern touch, The Beatles included wax models of their former Beatlemania-era selves looking on at their modern incarnation in full military psychedelic regalia. The models of John (No.57), Paul (No.60), George (No.56) and Ringo (No.59) were borrowed from Madame Tussauds for the Sgt Pepper photo shoot.